Situated within a beautiful French-style mansion, the Auckland Art Gallery was established in the year 1888. 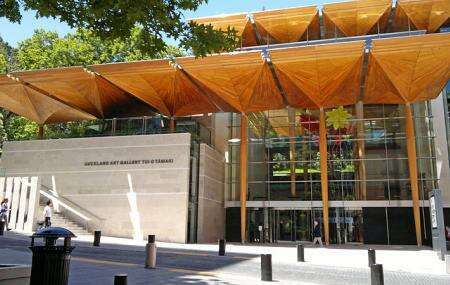 It has New Zealand’s most extensive collection of art- historic, modern and contemporary. It also houses paintings, sculpture and print collections of international artists, right from the 11th century to till date. Many people, kids as well as adults, enjoy trying their hand at Lego while at the museum. Cafe on Level 1 at the museum. How popular is Auckland Art Gallery? People normally club together Gus Fisher Gallery and Viaduct Harbour while planning their visit to Auckland Art Gallery. I was pleasantly surprised when I visited this gallery. It is a beautifully light and airy space with generous proportions and very well laid out exhibits. The building architecture lends itself to a free flowing wander through the halls. There’s Maori/Polynesian art and history, which is fascinating. I particularly enjoyed the Classic Art - the pieces are exquisite and I know I will be back to spend more time admiring them. The store has a nice range of art and items. It’s a really nice gallery, I’ll be back for sure. Thank you. A beautiful gallery with a diverse selection of classical and contemporary art. Visited in April 2019 and much of the exhibition space was featuring works by female artists. Some of those were works of protest art and/or feminist art, and some works of fashion/wearable art. Would love to return annually to see new exhibits. The Auckland art gallery captures everything a modern art gallery should. There is the perfect balance between national art that explores New Zealand's history as well as the wider Pacific community. It also covers International and modern as well as historical art. With new art rotating through the art gallery regularly as well as interactive exhibits, it makes it a spot to visit over and over again. Well-designed, modern-looking and organised gallery. Staff were friendly. You could get free entry if you are living and studying here, just show your student card at the counter. They have a cloakroom to keep your large bags and umbrellas. Good collection of artwork by NZ artists. Would come again when they have new exhibitions.